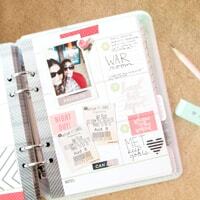 If you are looking for a fun way to stay organized this year, try using a planner set made for creative types. 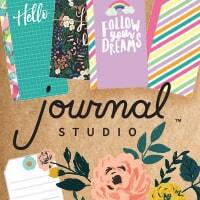 The delightful day planner supplies that you will find here are available at great low prices, and the designs are so much fun! We carry brand name planner solutions for all types of projects, whether you want to buy inserts or make your own. Cute planners - you can start with a box set that includes lots of supplies to get you off on the right foot or you can get going with just a planner. There are all kinds of designs and options in terms of style, size, material, purpose, etc. 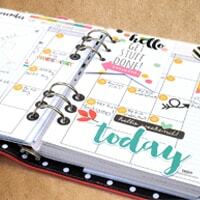 Planner accessories - this category includes dividers, inserts, bookmark tablets, and a variety of embellishments that make it easy to decorate your planner. We even have die sets for making your own inserts, etc. 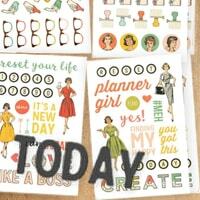 Planner stickers - our selection of planner stickers ranges from practical to adorable. There are images that aren't really useful, they are just for decoration. There are also all kinds of icons, phrases, words, and numbers that are great for reminders and notes. 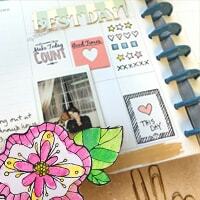 You can mix and match planner supplies for creative results. Keep in mind that some brands make planner collections that all fit a theme so that you can create a unified look in your planner, if you like that sort of thing. 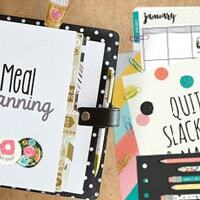 We have the Carpe Diem collection, as well as Heidi Swapp's Memory Planner. Both are wildly popular and we plan on offering more product lines very soon. Each brand comes out with new collections for their planner supplies each year, so check back every so often for all the fresh, new designs. 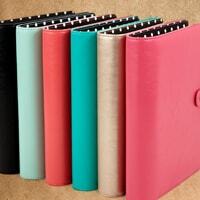 CraftDirect.com offers every day savings on the best custom day planner sets.